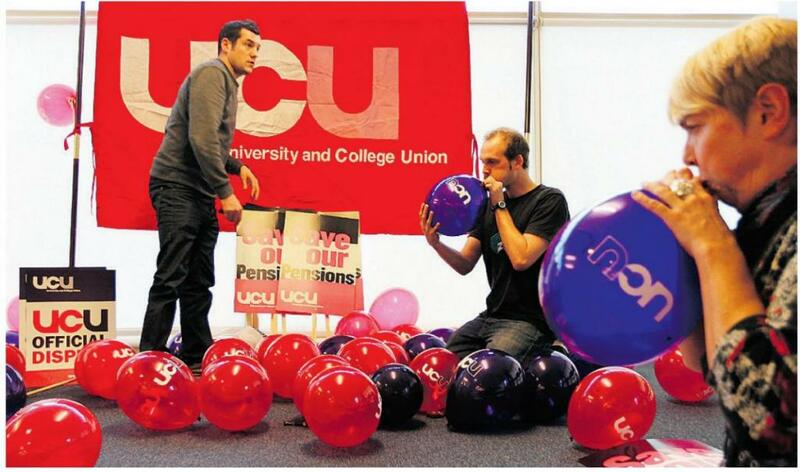 I wrote this article in response to You only love us when we strike: in the defence of trade unionism when I first saw it on June 30, 2011, as it was in the issue of Freedom which was being distributed to people striking against pension cuts on that date. I thought it was great that anarchist media was being handed out to workers in struggle. However actually reading the article I was very disappointed, as I felt an important opportunity was missed. Mainly because I believe that instead of putting forward an anarchist position it actually misrepresents the anarchist/libertarian communist critique of the unions. Ewa is without doubt a sincere and committed militant, so I mean my comments to be constructive. However, I disagree with a few key points which in her article, as well as a few key arguments she attributes to anarchist critics of the trade unions. I'm not going to go into my critique of the unions in great detail here, as this has been done elsewhere more effectively recently, for example by Ed Goddard, here1. In this response, I'm going to address the points in Ewa's article only. The first sentence of the article states that "the anarchist… critique of mainstream trade unions is well known, and valid". Now, unfortunately I do not think that it is particularly well known, which is basically what prompted me to write this response. I have some minor objections to some of the comments in this opening gambit (such as the statement that unions are "supporters of the Labour Party", which some of them of course are, but others like RMT and FBU are not, but that does not change their essential nature) but I will focus only on the key arguments. Ewa summarises the anarchist critique of the unions, saying "the message is clear; 'You can't win', 'unions are corrupt', 'don't join a union'." Now I contend that this is a strawman. I am not aware of any anarchists making any of those three arguments. As evidence of this, you can see pretty much any anarchist publication will contain news of victories for workers within the union for- such as this recent success getting a sacked worker reinstated on the London Underground. In terms of unions being "corrupt", I'm not aware of any anarchist or libertarian communist using this as a way of criticising unions. Of course, historically some unions have been corrupt (especially in the US - see Louis Adamic's excellent book Dynamite for more on the reasons behind this), but the anarchist/communist critique of the unions is based on their essential nature in capitalist society. I'm not aware of anyone stating that corruption is a significant issue in any major unions in the UK at least. Certainly, none of the many critical articles we have in libcom's unions tag archive do. And as for saying "don't join the union", I'm not aware of any anarchists who argue that either. The Anarchist Federation (historically the most ultraleft of UK anarchist organisations), for example specifically states in its aims and principles in point 7 "we do not argue for people to leave unions until they are made irrelevant by the revolutionary event [my emphasis]". The industrial strategy of the Solidarity Federation specifically states that members should join TUC unions. Ewa then states that "in many ways, the criticisms of big unions are self-contradictory", without stating why. Now perhaps this was due to the sub-editing, where the evidence of this was removed due to lack of space, so I would ask where these contradictions are? The article goes on to say that "it isn't a cliche to say that the members are the union" and states that in recent history some union officials have helped organise unofficial action. Now this is occasionally the case - but this is the exception rather than the rule. In a small number of areas, with a very militant workforce (such as the post office, or some parts of the construction industry) then this may happen - as if it did not the union would cease to have any authority with its members. However, in the vast majority of occasions not only do unions act against unofficial action, but they often act to prevent or disallow official industrial action as well - for example UNISON currently failing to ballot for industrial action over pensions, or all the unions calling off scheduled strike action to defend pensions back in 2006 (or sabotaging pay disputes in 2007 or 2008…). In terms of the members being the union, this is an oft-spouted line by the left. However, what does this actually mean? If this means that the unions are completely run by the democratic wishes of the membership, then it is demonstrably false. You only have to look at the hundreds (thousands?) of examples of majority votes in favour of industrial action which have been denied by the unions (big examples being UNISON calling off strike action over pay in 2007, the NUT doing the same in 2008, or countless other examples, some I have written about at my work). Ewa states that "behind the scenes there are continuous attempts to undermine and break out from" repressive labour laws. However, while this may be the case to some extent, far more significant is the tendency in the opposite direction. Unions enforce these laws on their own members, most unions funnel money and support to the Labour Party which enforces these laws when in power, and some unions such as my own, UNISON, specifically bars any discussion of opposing these laws from its national conference - supposedly the governing body of the union. In fact, rather than members recalling unelected officers, what is much more common is unelected union officers victimising or barring from office elected union representatives and taking over branches - such as the witchhunt of Socialist Party members in UNISON. Ewa states that "bad deals are not passively accepted, there is democratic accountability - through mass meetings". Again, mass meetings like that at British Airways Ewa mentions are the exception rather than the rule. Generally deals with management are made by union officials behind closed doors, after action has been called off, then presented to members in postal ballots at home - if presented to members at all. Often these deals are presented in ways which are plain dishonest. For example following our 2006 strike over pensions, the unions called off future planned action, leaving us with no leverage, then after they made a deal which cut our pensions by "only" about 10% as opposed to a bit more, the propaganda sent to us accompanying the ballot paper presented the deal as an actual improvement to our pensions, comparing the new offer to the old offer only, rather than comparing the new offer to what we get now. The result was, if I recall correctly, a 98% vote of acceptance. While I was one of the few that voted against the deal, practically like most of those who voted I knew that since the action had been called off and the membership had been demobilised there was no hope of getting a better deal by that point. Similarly, the Communication Workers Union did the same in the 2007 postal strikes, calling off all strike action for 'meaningful negotiations' before returning with essentially the same deal, except with the union having a 'consultation' role in the cuts. Mass meetings can also be manipulated by unions, such as Unite during the Visteon occupations. In Enfield, workers had the deal read out to them but were never provided with copies and the votes were organised so that the most militant plant - in Belfast - would vote after those in Enfield and Basildon, thereby encouraging them to accept the partial offer from management." The article then states that especially "for insecure casualised and migrant workers who are extremely vulnerable to summary dismissal for any resistance" unions can provide a level of protection. In terms of individual membership, this may have an element of truth to it - but then of course state run legal aid also provides a measure of protection to some workers, but it doesn't mean we support the state, so nor should this mean we support "the unions". But especially for casualised or migrant workers (or indeed anyone who has been in a job for less than one year and is so lacking in protection for unfair dismissal2) this level of protection is minimal at best. The only real protection for these types of workers, is solidarity of their colleagues, whether in a union or not. And the union may not be any help. I organised an indicative strike ballot to demand reinstatement of a sacked migrant worker colleague, but was denied an official ballot by the union despite returning a huge yes vote. Unionised cleaners at UCL were also deported en masse recently, something which the union was powerless to stop. And the actual union form is a barrier to the type of action which would be the only kind of thing which can stop these sort of sackings - basically wildcat stoppages of all workers in a workplace, with the threat of spreading the struggle to other workplaces. The union form is a barrier to this as it divides up workers in workplaces and industries into distinct groups, across which it is unlawful to take action, and binds us to restrictive anti-strike regulations such as secret postal ballots for action, advance notice to employers, and no secondary action. The article states that "big unions have the resources to put organisers into whole sectors across the country and build combines and structures of representation that resemble a shop stewards movement and not a lumbering bureaucracy". Firstly, a movement based on shop stewards does not break with the confines and problems with unionism as a whole, but secondly I would like to ask for examples of these movements, as I'm not aware of any. Next is perhaps the most dangerous argument in the article, which states that at the current time of crisis "to pursue a blanket critique of mainstream union membership… can undermine workers in struggle". Now I'm not sure what is meant by "critique of mainstream union membership" here. If it is the strawman position presented above, saying that people shouldn't join unions, which no anarchists I'm aware of actually hold, then this may be fair enough to some extent. However, if it is saying that a critique of unionism per se can undermine workers in struggle then I think this is a completely incorrect and anti-working class position. As if instead of proactively taking the struggle into our own hands and spreading it across union and industry divides, we take an uncritical attitude to the unions and allow ourselves to be passively led by them, then, quite simply, we will lose. Ewa states that this critique creates "a stereotype of the 'duped worker', the 'sleepwalking, unconscious worker' that the intellectual activist can 'wake-up' with 'more radical ideas and approaches'", but again I contend that this is a strawman, and certainly is not something which I have ever heard or read anyone espouse. Although, of course if all us workers were content to be passive and be occasionally sleepwalked in and out of strike action by our leaders then we wouldn't win anything. However, thankfully this is not the case. Nor are radical political ideas any guarantee of any kind of decent response to workplace militancy - see, for example the 57 shades of "revolutionary" socialist who are content to wave placards saying "why won't the TUC call a general strike?" and tell everyone to vote Labour in four years. I also think it's out of order to insinuate that those of us who criticise the unions are somehow "intellectuals" outside the working class. In the final paragraph, Ewa argues that there is a problem with the idea of supporting "workers in struggle but not unions" as this seems to "fetishise strike-time" and ignore the small invisible struggles. However, this is a non sequitur. Only thinking about workers' issues if a big dispute is ongoing, has no relation to a critique of the unions. Personally, I always support workers in struggle, but I do not support "unions" in abstract, as I recognise that unions are not pure organisations of working class struggle, but class collaborationist organs which for the most part assist with the gradual erosion of working conditions and pay. The pattern over the last two decades is clear: employers propose huge attacks on pay and conditions. The unions spout some rhetoric saying "no", and when workers' anger is such that it forces them to organise some form of action, it is generally kept to token stoppages, and the unions in general organise mass scabbing on each other's disputes (UNISON during teachers' strikes, GMB and Unite during UNISON strikes, etc). Then the action is called off while union negotiators talk to the employers, who then come back with a slightly less-worse deal, which the unions then recommend to their members who then reluctantly accept. Then both sides claim victory: the bosses get what they wanted, and unions get to claim they improved things for the workers, and that the bosses take notice of what they say, and so get to keep recruiting new members. The losers, of course, in all this are us workers, who continue to see our hard-won conditions chipped away and our real pay cut year-on-year. Ewa's closing argument is for "anarchists to open up to these forms and spaces of organisation and be part of them" claiming that unions can be "authentic places of alternative power at a grassroots and wider level". However, I would say that anarchists should base their activity on an understanding of the realities of class struggle. The text by Ed Goddard I linked to above looks at real-world examples of recent struggles. We are not making abstract points about how unions aren't revolutionary, we are trying to point out how on a day-to-day level they are insufficient for us to even defend our conditions, let alone improve them. Unions are not pure expressions of grassroots power: they are also bureaucratic entities with their own role in capitalist society, which is as brokers of the sale of labour power. We need to recognise this and decide on our actions accordingly. So if the unions divide workers up, we should try to organise meetings of all workers regardless of union membership and employment status. We should argue for other workers not to cross picket lines of workers in other unions, regardless of official union advice. If the unions are happy to call off action in order to return to the table with the employers we should try not to let ourselves get demobilised, and push for action to keep the pressure on the employers like localised walkouts, go slows, work to rules. If the unions are happy to accept attacks on us, as long as they maintain a negotiating role, we should push for workers to reject those sorts of agreements. After all, we are not "the union": we are the workers. And we fight for ourselves. I missed this the first time around. Nice piece. Generally deals with management are made by union officials behind closed doors, after action has been called off, then presented to members in postal ballots at home - if presented to members at all. Often these deals are presented in ways which are plain dishonest. For example following our 2006 strike over pensions, the unions called off future planned action, leaving us with no leverage, then after they made a deal which cut our pensions by "only" about 10% as opposed to a bit more, the propaganda sent to us accompanying the ballot paper presented the deal as an actual improvement to our pensions, comparing the new offer to the old offer only, rather than comparing the new offer to what we get now. The result was, if I recall correctly, a 98% vote of acceptance. basically, in Unison local government exactly the same thing has happened again. Having had no further action scheduled since one day on November 30 last year (despite being balloted and voting for multiple days of strike action), and hearing nothing about the dispute for months, hence being totally demobilised, we are now being balloted on whether to accept the slightly less worse deal than the one we went on strike against. The dishonesty of the union in the letter accompanying the ballot would be shocking if they didn't always do this and I didn't know they were going to again! Key attacks on our pensions worth the shift from RPI to CPI uprating, which wipes off 15% of our pensions with a single stroke, the massive increase in retirement age from 65 up to the 70s for young workers, and the abolition of the final salary scheme are not even mentioned. In fact to pensions are mentioned at all. All the ballot paper refers to are "improvements to the LGPS [local government pension scheme] negotiated by Unison"! So reading the ballot paper, if you didn't know anything else, you would think that we are actually voting on a better scheme than we have currently. And of course for the vast majority of members they are recommending that we accept the deal. Which unfortunately most people will. And as before, even those of us voting against know that realistically there is no chance of further action because what mood there was to fight last year has totally evaporated now. I would be interested to know what Ewa thinks of my response now. Have you voted yet? Have your say and remember to VOTE YES in the UNISON ballot on the new LGPS pension scheme. Vote by post or online. Helpline: 0845 355 0845. I am not in LGPS, I am a Unison member in SAUL (a private pension scheme centred mainly around University of London HE institutions.) The recent contention over pensions is, Unison eventually after much discussion got SAUL into a position where they were affectively suggesting a two tier pension, with new joiners in July joining a career average pension, and the existing members staying under the old final salary scheme. This position, if it went through unmolested would mean worsening conditions for those not yet in the scheme, but decisively, the workers divided and ergo their conditions much more difficult to defend if further 'reviews' were to take place. My contention is that they begrudgingly, at the last minute put this to a ballot, circulated information supporting the changes, basically along the lines that this is the best negotiations could come-up with, and clearly never had any intention of allowing members to challenge this. Really poor show. I am pretty new to the internal mechanisms of Unison, but I also get the impression from others, that getting the go-ahead for industrial action is the remit of a sub-commitee, who are clearly a big barrier to any expression of militancy. And the Regional Briefing talks just confirm, they haved heeded a heavy warning following the legal dispute between Unite and British Airways. i got to see a relative's ballot for this, its plastered with stuff saying VOTE YES. yes, they are pushing harder for a yes vote now than they pushed for strike action before November 30. We didn't get multiple text messages telling us to strike, for example. exactly. At my work pretty much every mass branch meeting with a motion for industrial action has been met with a unanimous vote in favour by show of hands (once or twice there was one abstention or one vote against, out of at least 200). But with postal ballots it's often more like 55-60 % in favour on a turnout of 20-25%. Wouldn't the Trotskyists agree with much, of not all of this article? Trotsky himself wrote an article about the fusing of the Trade Unions and the state (Trade Unions in the Epoch of Imperialist Decay, I think). So what is the real difference of the Anarchists (and I know there are different types) with the '57 varieties'? they might agree with some of it, but they wouldn't agree with my analysis of unions as not being essentially pro-working class organisations. They also wouldn't agree with my characterisation of them! Finally, they wouldn't agree with my strategic suggestions. The Trotskyist tactic in unions is two-pronged. One is organising at the base (which is of course a good thing, although I would have some issues with how they do it - primarily focusing on recruitment and union members only, rather than trying to unite workers across union boundaries), and the other is basically trying to take over/democratise/radicalise the unions. The form this latter strategy takes is that trots are encouraged to become union reps. Then they get themselves "elected" onto stewards' committees and branch committees and ultimately to branch secretary positions. And they try to get themselves elected to national positions in unions, particularly in NECs (national executive committees) and service group executives. And simultaneously try to pass various motions at different levels within the unions to "democratise" or "radicalise" them. the reason they use slogans like "demand the TUC call a general strike" is so they can portray the lack of a general strike as a problem of leadership, as opposed to a problem of disorganisation at the base. Then they can put themselves forward as the correct leadership who workers should vote for. And then come election time they tell everyone to vote labour. Ignoring the vote labour nonsense, their attempts to "radicalise" the unions have been abject failures. In fact the "revolutionaries" upon getting any responsibility inside the unions have been de-radicalised by them, due to the pressures they are under. See, for example, the "revolutionary socialist" in the SWP on the executive of the CWU during the 2007 strikes voted to call them off, supported by the Socialist Party. Or the "socialist" Matt Wrack at the head of the FBU who essentially lead the militant FBU scabbing on the November 30 strike. One such example was with the anarchist John Turner, an unpaid leader of the United Shop Assistants Union for seven years who in 1898 became a paid national organiser, travelling up and down the country recruiting to the union. Though it grew massively, Turner had also started to change his approach. As conflicts flared up so would branches of the union; but as conflicts died down so did the branches. To keep a stable membership, he introduced sickness and unemployment benefits as perks of union membership. The plan worked. A stable membership was established and by 1910 the Shop Assistants Union was the biggest in the London area. But the nature of the union had changed. And even if Turner couldn’t see it, the workers could. The union bureaucracy became seen by many as an interference with local initiative and in 1909 Turner was accused of playing the “role of one of the most blatant reactionaries with which the Trades Union movement was ever cursed” . The tragedy of John Turner1 is not as simple as him ‘selling out’; he remained an anarchist to the day he died. But as a full-time organiser paid by the union his priority began to be perpetuating the union rather than organising conflicts and soon his union was no different from the other unions. This is because in the eyes of a trade union official, the union is not just the means to encourage struggle but the means through which struggle itself happens. Building the union is top priority and stopping things which get the union in trouble (like unofficial action) take on the utmost importance; after all, if the workers get the union into too much trouble, how will struggle happen?